8-bza (pronounced Eight-Bizza), answers to many names and aliases. He is known mostly by his fans and peers as Bobby Botoxflow, a name he coined due to his tendency to flow in a tight, yet fluid fashion. He has been involved in rhyming since 1995, but didn't hone his skill until the late 90s. He has gone through many metamorphoses with his style/sound/subject matter and has made a lot of alliances/enemies along the way. He released his debut "Better 8 Than Never" in January 22 2009 (which had to be slightly revamped and reissued on February 8 2011 for personal differences with former associates), and a follow up album as a producer "Pieces of 8" in August 9 2010. For roughly a decade he was on a mission to save Hip Hop, but it wasn't until 2010 that he realized that the mission only lead to a dead end. He now focuses on building with others and continuing to advance until he makes it to where he wants to be. He has worked with legends such as Ras Kass (1/4 of the HRSMN), Prince Po (Organized Konfusion, Nasty Habits, Concrete Babiez), Holocaust aka Warcloud aka Robot Tank, MarvWon (known for his work with many Detroit artists, including The Left, Royce Da 5'9", Black Milk and more), Tribeca, Kurtis Blow and producers DC the MIDI Alien, Domingo, Da Beatminerz. He has also opened for Reef the Lost Cauze and King Magnetic of AOTP (Army Of The Pharaohs.) His next projects will consist of a collaborative effort with one of his many partners in rhyme, Jon Regul, and will be titled The Boulder Bros, as well as an EP (Beast From The Northeast), a collaborative album produced entirely by South Hill (The Art Of Nonchalance), and a 3 part album series titled Endgame8. Recently 8-BZA expanded his skills to acting and features in his first soon-to-be-released film with an all hip-hop star cast. Check out the trailer and description below. *All single beat purchases are $40-100 each, as listed. *Custom beats can be made for $150 each. 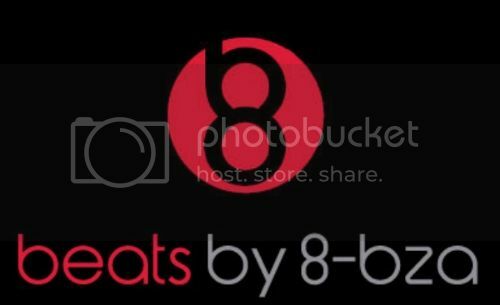 *Tracked out beats available for an additional $10 to cost of each beat. A SEA OF GREEN: Phillip Waters has it all, but in one quick swoop he loses everything. Soon, Phillip finds himself resorting to old habits during his struggle for money and quickly finds himself in more trouble than he bargained for. With police in his rearview, Phillip and two of his friends flee from police to California and get work guarding a high profile outdoor marijuana grow. Little do they know their problems have followed them. 8-bza plays Detective Piercy, a young Lowell detective assigned to the case along with his partner, Detective Mendocino (played by Dramatik of the W.O.L.V.E.S) hoping to nip things in the "bud" once and for all. With an all star hip hop cast "A Sea of Green" tells a different and unheard story about the cannabis culture.